how's your week going so far? i'm so glad it's almost Friday...Hoss has a 4 day weekend coming up and i can't wait! hopefully we'll get some things done around the house, have a little bbq, and a couple of fun outings. i'm so ready! 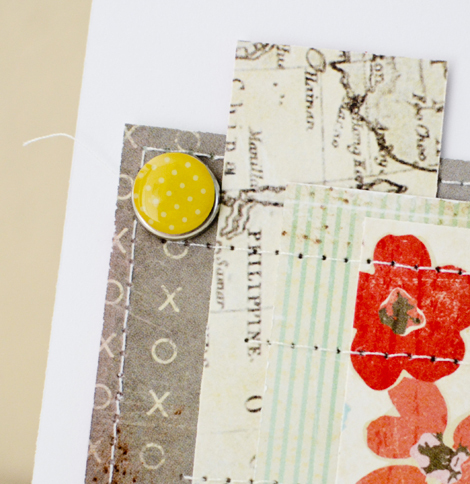 i have a quick post today; i made this card awhile ago but realized the other day i hadn't shared it. 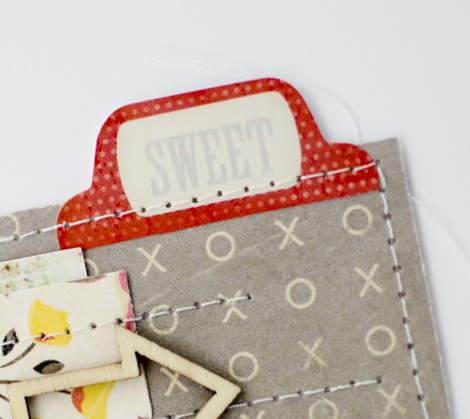 i used all scraps here, from Crate Paper's Valentine's Day collections. 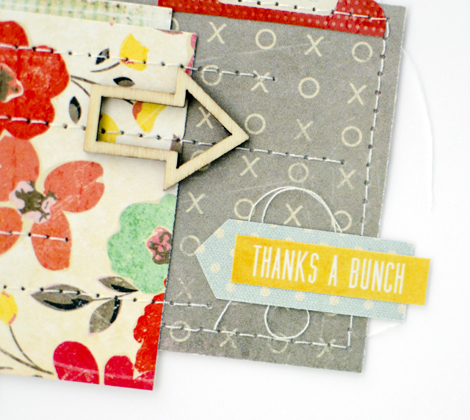 i really like the pops of red and yellow against the more neutral patterns and the bright white card base. the "SWEET" sticker is from CP's Fourteen line. i sometimes have a difficult time knowing what to do with the tab stickers. Though, as i was typing this, i just figured something out. hmmm...i'm working on a mini album and my little epiphany will surely come in handy for that! have you guys got plans for the weekend? i can't believe it's the end of summer already. i don't have school-age children and we don't exactly have a traditional autumn in Southern California so i don't in any way feel like it's the end of summer. not to mention, we're currently experiencing the hottest weather we've had all summer so yeah, my summer is far from over! but for all of you getting ready to send the kiddos back to school, good luck! 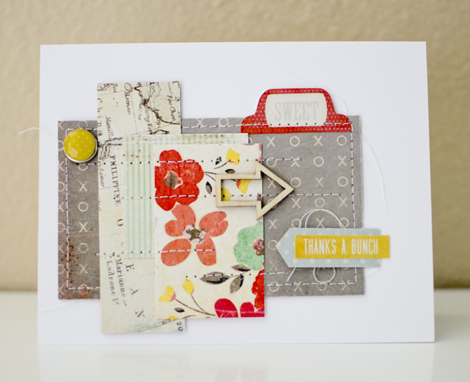 Love the layers on your beautiful card Rebecca.